Five reasons why you should see WOODLAWN as soon as you can! 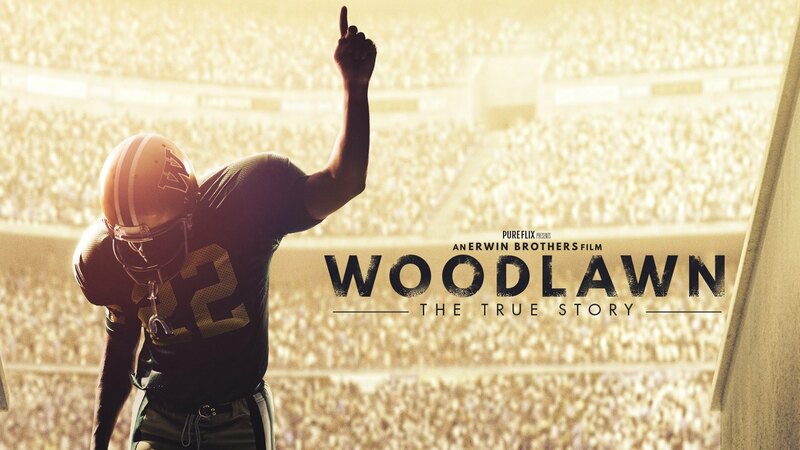 (1) WOODLAWN is the true story of the spiritual awakening that happened among the 1973-74 football team at Woodlawn High School in Birmingham. It is the true of story of how Tony Nathan became a household name in Alabama and the nation. (2) The gospel is clear in the movie. This is no generic “believe in God” piece. There is a clear call for salvation & change. In fact, this is a great opportunity to bring a friend who doesn’t know Christ. I am praying that many thousands are brought to Christ through this movie. (3) WOODLAWN isn’t a football movie. You read that sentence right. It is a movie about the power of the gospel to bring racial reconciliation and love for others. THAT is the heart of WOODLAWN. It just so happens that the gospel brought racial reconciliation and love to a high school football team. The message doesn’t get lost in the football. (4) There are familiar faces and locations. WOODLAWN was filmed on location in Birmingham. You actually see Woodlawn High School, Legion Field, and Birmingham neighborhoods. Birmingham’s own Caleb Castille has the lead role. Caleb is the son of Alabama great Jeremiah Castille, and played high school football at Briarwood Christian, as well as college football with the Crimson Tide. Finally, it’s worth the cost of your ticket to see Jon Voight play Bear Bryant. To say it’s “spot on” is an understatement. (5) WOODLAWN is an absolutely incredible movie! It looks great. It’s well acted. It’s paced well. You won’t be able to take your eyes off of the screen for two hours. You might catch yourself standing up and cheering before it’s over!